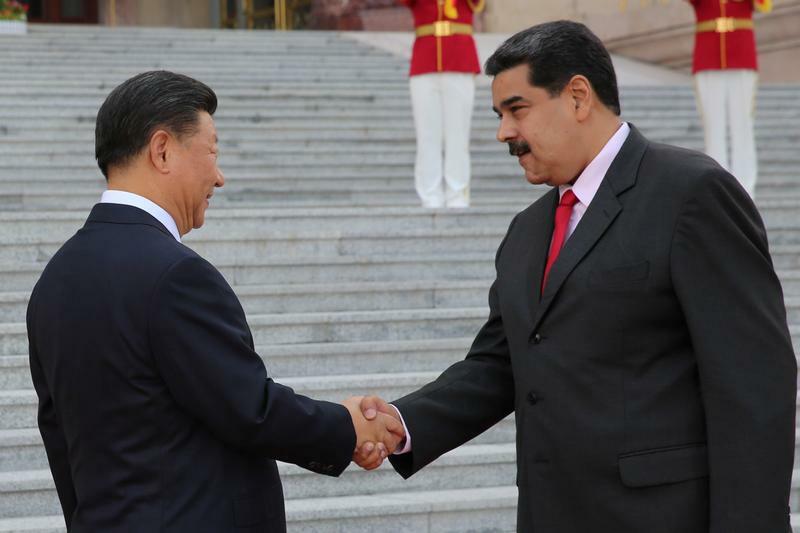 Chinese President Xi Jinping and Venezuela's President Nicolas Maduro shake hands during his welcoming ceremony in Beijing, China September 14, 2018. The administration of U.S. President Donald Trump imposed sanctions on the Venezuelan state-owned oil company PDVSA on Jan. 28, in an attempt to curb crude sales and increase pressure on President Nicolás Maduro. Maduro, speaking in a live broadcast on Jan. 28, accused the United States of trying to steal Venezuela’s $10 billion U.S. refining subsidiary, Citgo Petroleum, its most important foreign asset. Shortly before the U.S. announcement, Juan Guaidó, the U.S.-backed Venezuelan opposition leader and self-proclaimed interim president, said congress would appoint new boards of directors to PDVSA and its subsidiary Citgo.